Are you interested in setting up as a food, beverage, or merchandise vendor? If so please read our vendor rgulations and infromation sections below and be sure to submit our simple vendor application form below. Any banner or sign needs to be approved prior to the event by Light The Night. 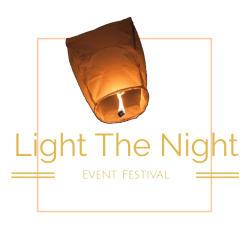 Light The Night reserves the right to evict any person or company (without recourse) for disobeying any municipal, provincial or federal regulations governing this event; or, for any conduct deemed improper or dangerous. Sound producing or amplification devices that project sound must be kept at a conversational level and must not interfere with other vendors or Light The Night’s sound system. Booths must be manned during event hours. All booths shall stay set up during event hours. Any damage to any property that you occupy is the sole responsibility of the vendor / sponsor company and will be charged to your company. All food vendors must include a copy of your Health Department Certificate and Sellers Permit. (Some venues do not allow outside food vendors). Vendors selling goods are responsible for your own tax reporting. If the city requires permits or businesses license specific for that city you are responsible to obtain the correct documents. Vendor fee must be paid not later than one week after approval or your space will not be held. You need to be set up one hour before the event starts or you will forfeit your space without reimbursement. You are responsible for cleaning up your area. All trash must be disposed in one of the designated dumpsters. Leaving trash behind may result in a fine. We will not be assigning booth space until the day before the event. Our goal is to provide all vendors with a booth location that will have the same attendee traffic and visibility. If you need electricity, please bring a generator incase electricity isn’t provided by the venue. Parking, unloading and set up directions will be sent out the Monday prior to the event. We will give you an area big enough for a 10×10 tent, 20×20 tent, or food truck space. You will be responsible for providing the tent, tables, generator and anything else you need. We try to keep all booths by each other to draw the most traffic. Fee MUST be paid 1 week after vendor approval or your spot will be forfeited. In addition to our vendor booths we offer a variety of other sponsorship oppertunities here at Light The Night. We are always interested in partnering with new sponsors to help each other grow. If you are interested in becoming a sponsor for one or all of our events please let us know via our simple contact us form. You can also see our available sponsorship packages here. I agree with the vendor rules, information, and fee section(s) above. Don't forget to pay your vendor fee!